Late this summer Landscapes of Injustice received an unexpected invitation that I was personally very glad to accept. The President of the Victoria Nikkei Cultural Society (VNCS), Tsugio Kurushima, asked for help. 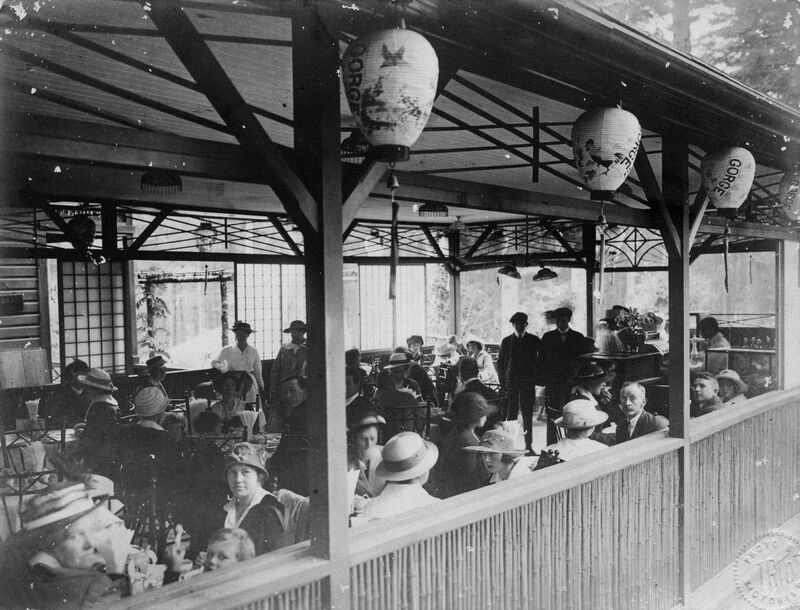 Members of the local Japanese-Canadian community in our region have long sought the re-creation, in Esquimalt-Gorge Park, of a Japanese Teahouse, which would complement the existing Japanese Garden on the site and, together, offer some measure of repair for an historical injustice perpetrated seven decades ago. 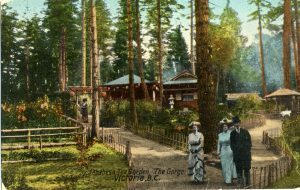 In 1907, the park opened the first traditional Japanese Garden in Canada, designed by Isaburo Kishida, who would go on to create an iconic garden for Jennie Butchart, a centerpiece of what is now one of the premier tourist sites on Vancouver Island. Alongside Esquimalt’s original garden, a Japanese teahouse, run for decades by the Takata family, was a beloved attraction. As one visitor later recalled, “that was a place—something quite wonderful . . . 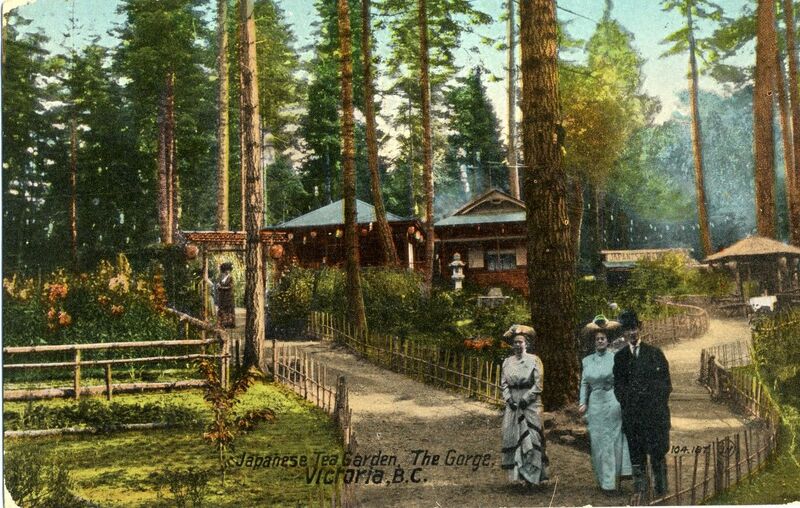 The Japanese Tea Garden was visited by tens of thousands of people.” Local historians Ann-Lee and Gordon Switzer explain that the gardens and the teahouse suffered during the Depression, but both survived the decade, and in 1942 were among the Japanese-Canadian contributions to civic life in British Columbia left behind in the uprooting. What followed on the site was part of a larger tragedy of the dispossession: looters, vandals, and rioters destroyed the garden, as they did the property of Japanese Canadians throughout coastal BC. The results in Esquimalt shocked officials, eventhose accustomed to the seizure, sale, and ruin of Japanese-Canadian owned property. Inspecting the site in May 1944, a staff member of the Custodian of Enemy Property described the premises as, “just a wreck. Practically everything of value has been removed, doors broken down, electric wires cut . . . in fact the place has been ravaged and wanton destruction has taken place.” The fate of Victoria’s Japanese Tea Garden reminds us that the dispossession implicates people outside of Ottawa’s corridors of power, it required the complicity of thousands. 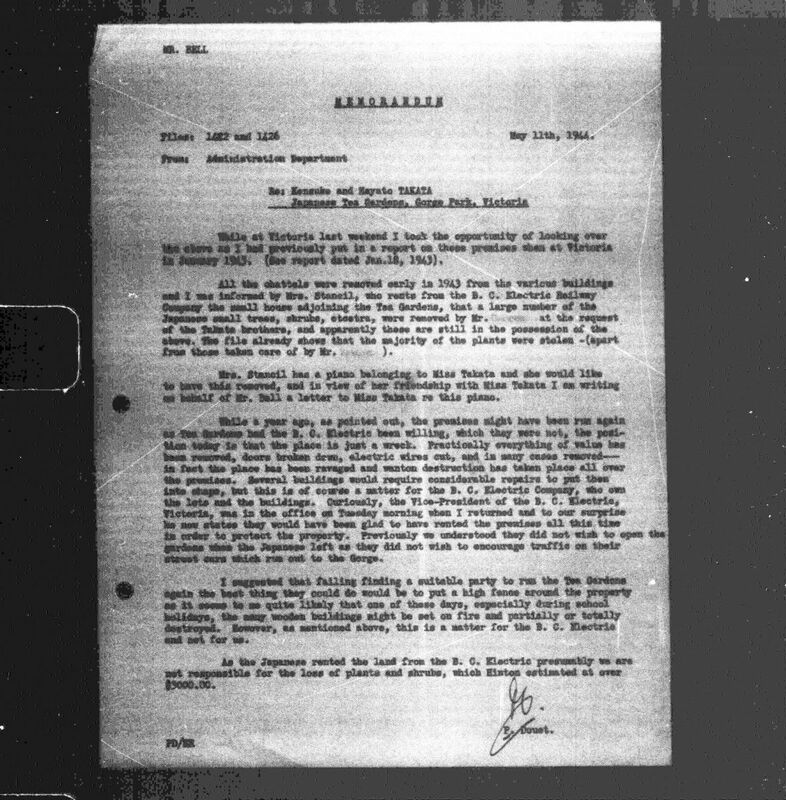 In recent decades, the Township of Esquimalt and Japanese Canadians have collaborated to address this legacy of injustice. Beginning in the 1990s, a new Japanese Garden was created on the site, and in 2009, an ornamental gate unveiled. Cherry trees, funded by the National Association of Japanese Canadians, bloom in the spring, and the garden’s ornamental stream gurgles cascading down a slope, surrounded on all sides by lush greens, bursts of flowering colour, and pebbled paths. But the teahouse is still missing. Esquimalt’s park remains one of hundreds of Pacific localities subtly pockmarked by little-known landmarks of the uprooting and dispossession. This may soon change. The Township has received a one-time fund of $17 million, which it is using for park improvements and amenities. Mobilization by the VNCS helped the re-creation of a Japanese Teahouse lead all options in a public poll conducted earlier in the year. As the public consultation entered its final phase, Tsugio reached out to Landscapes of Injustice, seeking our support. Happily, we were able to provide this. 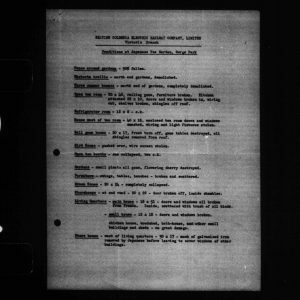 Research in the Custodian of Enemy Property case files, recently opened and digitized for our project by Library and Archives Canada, uncovered the extent of the damage inflicted by the public. As important, the connections and hard work of the Faculty of Humanities Communication Officer, Stephanie Harrington, combined with the efforts of our Research Coordinator, Kaitlin Findlay, Project Manager, Mike Abe, and members of the VNCS succeeded in getting the Japanese Teahouse a two-page spread in the Victoria Times Colonist, an interview on CBC Radio’s local morning show, and other media coverage. As a result, the mayor of Esquimalt, Barb Desjardins, requested a presentation to Council, on which the VNCS and Landscapes of Injustice will collaborate later this fall. 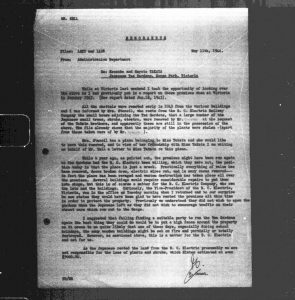 While nothing is yet assured, I’m proud that our project supported the initiative of local Japanese Canadians seeking a measure of redress for a harm that occurred so close to my own home. It may be that I’ve never shared with the rest of project the crucial role that the VNCS played in the origins of Landscapes of Injustice. 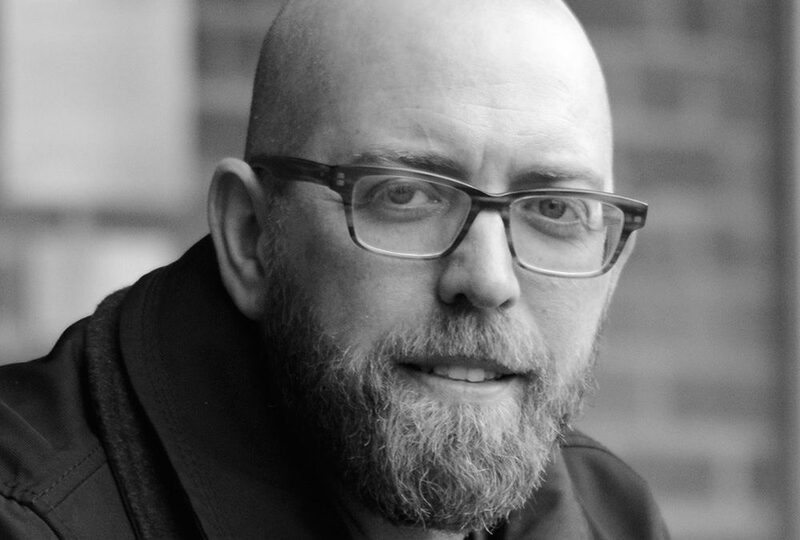 Indeed, members of the VNCS may themselves not realize the connection. In the fall of 2012, I had the opportunity to host in Victoria both Joy Kogawa and Audrey Kobayashi, as part of a lecture series marking the passage of 70 years since the uprooting. The series, which also included my first public presentation on the topic of dispossession, was funded, in part, by a grant from the VNCS. In conversations with Joy and Audrey that fall I learned how important this history was to key figures in the community and (pointedly, from Audrey) that I should avoid using the term “Japanese” alone when referring to Japanese Canadians. Support from the VNCS is at the root of our project. I’m glad we’ve been able, these years later, to offer support in return.